Acupuncture is defined as 'the insertion of a solid needle into the body with the purpose of alleviating pain and modifying disease'. Acupuncture works for pain by ‘fooling’ the brain into releasing its very potent pain relieving chemicals. As such it is 'natural', but not mystical. The more we discover about the way the brain and body work, the more we discover how acupuncture has its effects. Most animals accept the needles readily. Many become sedated and relaxed during the sessions, and one of the best rewards for the treatment is seeing our patients enthusiastically greeting us! NB: Acupuncture is not a panacea and not all conditions or patients are suitable for treatment with acupuncture, which is often used alongside other treatments rather than instead of medication / surgery. 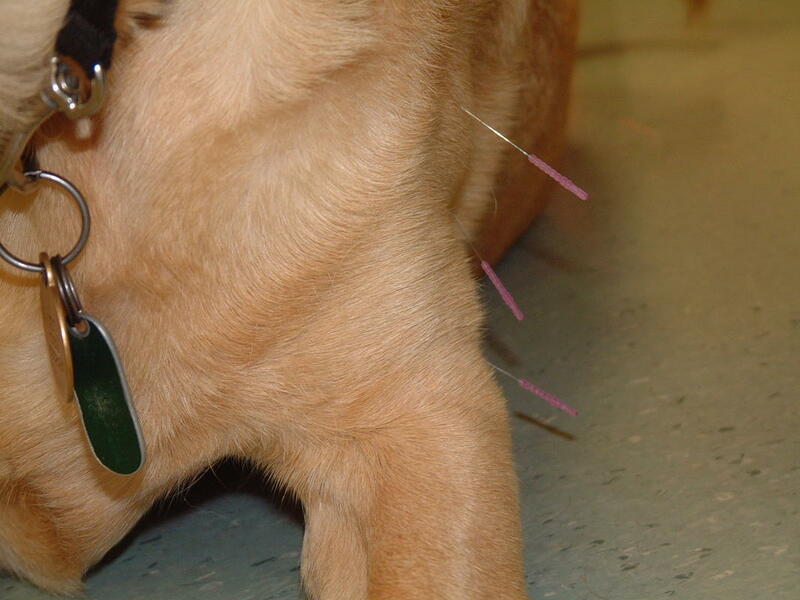 We are happy to discuss the potential usefulness of acupuncture for your pet’s condition with your veterinary surgeon.